I am so super excited to share this post with you today. As many of you know, hand lettering has become one of my passions. I love to hand letter anything that i can get my hands on… gift tags, ornaments, signs… you name it and I will hand letter it. 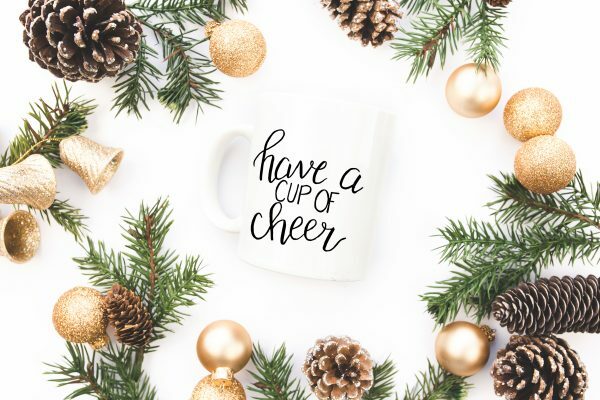 I know that many of you love the hand lettered look like I do so today I’m sharing some hand lettered holiday clip art and cut files for you to use in your holiday projects. These files were created at 300 dpi and come in PNG and SVG formats. Because they come in so many formats, you can do so many things with these files. You can do ALL .THE . THINGS. You can access the files in the resource library, below. WONDERING HOW TO USE THESE FILES? Use personal cutting machine (Cricut or Silhouette) to cut the SVG files out of vinyl. Then place the vinyl onto a mug or use heat transfer vinyl and transfer the design onto a t-shirt. Use a personal cutting machine to cut the SVG files out of cardstock. 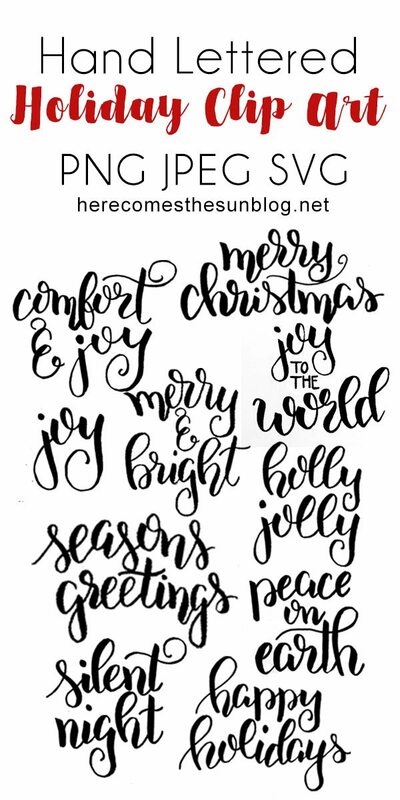 Adhere the holiday sayings to the front of colored cardstock for a custom holiday card. Open the PNG or JPEG files in a software like Photoshop, Photoshop Elements or Illustrator. Create a card or holiday themed artwork with the holiday phrases. These files are in zip format so you will need to unzip them in order to use them. As always, these files are for personal use only. You may not sell or redistribute them. Please respect my work.